Four years ago, in the basement rehearsal halls of the 5th Avenue Theatre, a new musical about the experiences of nearly 6,600 air travelers who were diverted to Gander, Newfoundland, after the terrorist attacks on September 11, 2001, started on the long road to Broadway. Even then, no one was quite sure if a play about 9/11, let alone a musical, would resonate with audiences. It turns out Come From Away and its heartwarming message of hope in the midst of tragedy and uncertainty delighted theatergoers across the country. After “graduating” from the 5th Avenue’s New Works Program, the work of cocreators David Hein and Irene Sankoff became a coproduction of La Jolla Playhouse and Seattle Repertory Theatre. It opened at La Jolla in June 2015 and Seattle Rep in November, then went on to Washington, D.C., and Toronto in 2016 before making its Broadway debut to critical acclaim in March 2017. 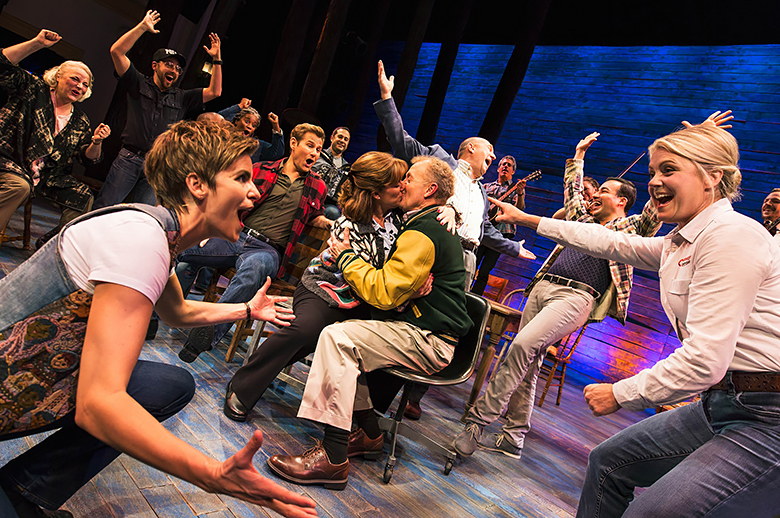 Having won a Tony Award and many other plaudits, Come From Away has become the little musical that could go far. In addition to the North American touring production, another is currently playing in Toronto. London and Melbourne get productions next year, and the creators are working on a film adaptation.